A car tracking system ensures premium security of your vehicle and reduces the possibilities of car thefts. A little device is installed in your car that is constantly broadcasting the location of your vehicle. Therefore, if your car is stolen, you can easily trace the location of your car in real-time. The high-end systems have a dedicated power source connected with the system, which keeps the device running even if the primary battery is separated from it. VHF is the acronym for Very High Frequency. At present, VHF has successfully overtaken the popular GPS based systems and is making its way into the mainstream market. The reason is simple; it is possible to transmit and receive these wavelengths using extremely small antennas that can be installed on small hand-held devices. VHF has been in use in communication devices, but the promising scope and the fact that a small device with VHF can easily be concealed has made it a prevalent choice for car tracking systems. The prominent feature that keeps it ahead of the competing security systems in the market is that the wavelengths can be identified even in underground areas and containers. 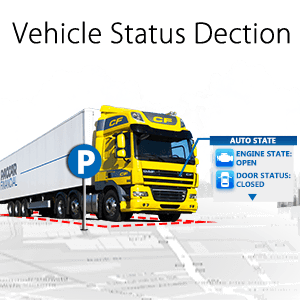 For premium security, most of the tracking systems are programmed to be activated the moment your vehicle is started without using the key. Therefore, you can easily inform the police about the theft and track down the culprit. The car tracking systems can also be modified further as per your personal needs. You can have your vehicle come to a stop in case of an unidentified driver with the help of driver recognition software. The need for such systems is often contemplated a lot. However, with the above mentioned benefits and the security it brings along, one should not think twice before installing one in their vehicle. If you are spending loads on your vehicle, you might as well spend a little on its security.